...sorry that I am rather quiet at the moment. I have a sick boy at home who needs a lot of cuddling and care. Hope he is better soon. 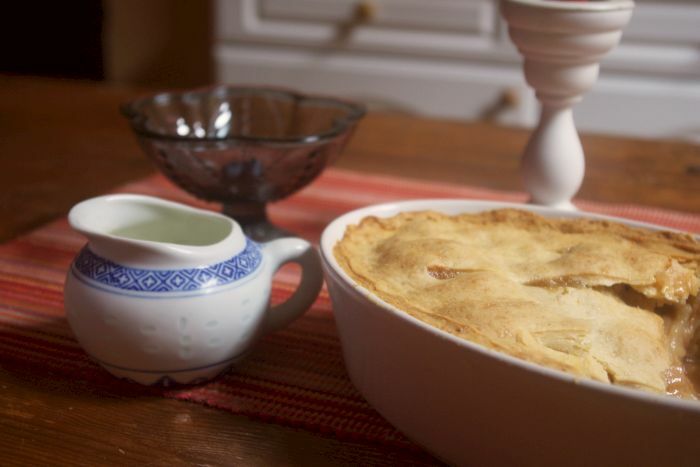 Apart from that I am busying myself with cooking red currant syrup, apple sauce and I baked a lovely apple pie, as well. Those first apples are great and they came all for free from an overwhelmed neighbour whose trees are bursting with fruit. I am also knitting like crazy. :-) I will show you the results very soon!